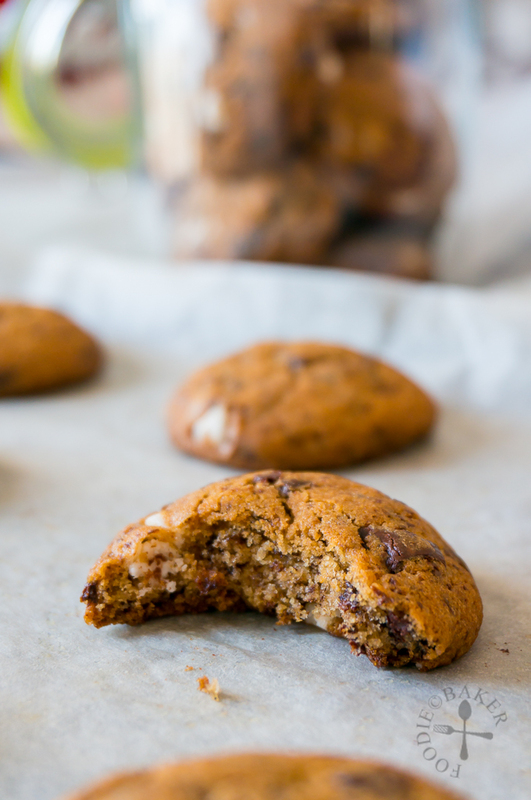 These cookies are adapted from my very old triple chocolate chip cookies published in 2008. I’ve been wanting to revamp that post but couldn’t help giving it a twist to that old recipe – by steeping some mint leaves into the melted butter. I’d also made the cookies smaller and baked them longer so they are more crisp instead of cake-y -as this is the kind of cookie I prefer these days. 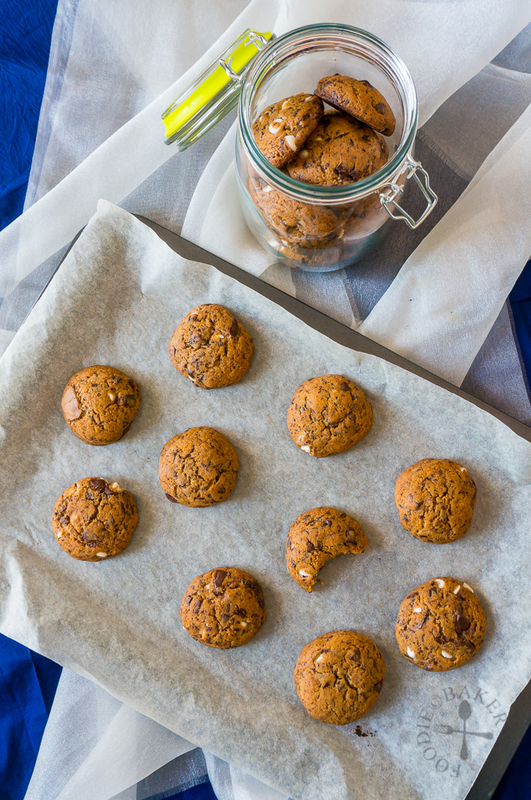 This resulted in crisp cookies with slightly soft centers and a hint of mint-ness in every bite – irresistible! Usually I would use dark chocolate chips, milk chocolate bar and dark chocolate bar (the bars are chopped into small chunks) for these cookies, but this time round I used what I had on hand, which are white chocolate chips and dark chocolate chunks. 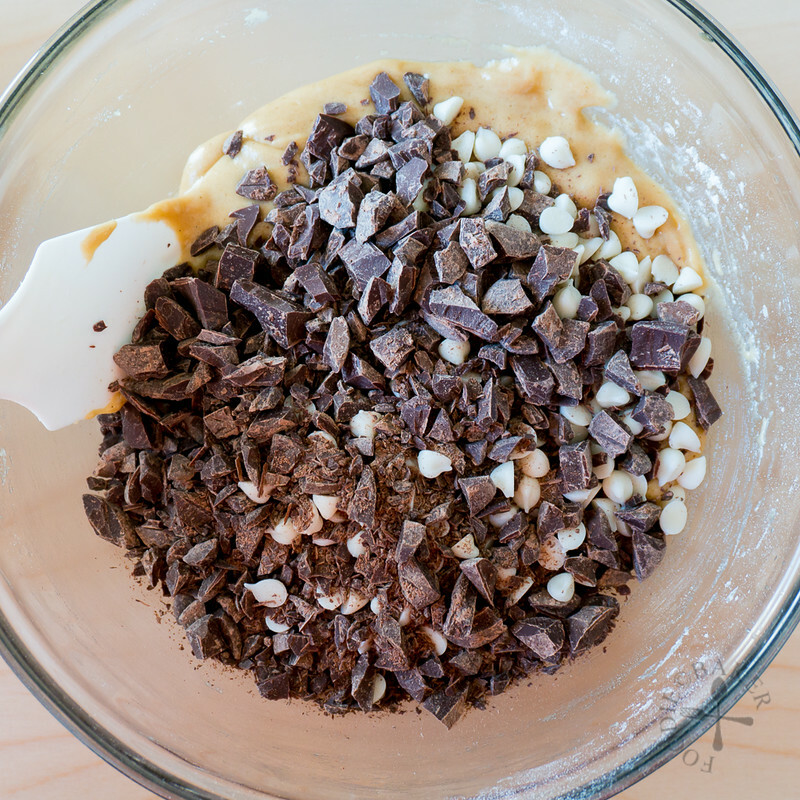 Most chocolate chips will hold their shape even after baking but chocolate chunks will melt during baking, resulting in a gooey chocolate deliciousness, so it’s best to use a mix of both! Here are step-by-step photos, make them today! 1) Combine butter and mint leaves in a small pot. 2) Melt the butter over low heat. Remove then let the mint leaves steep for 30 minutes. 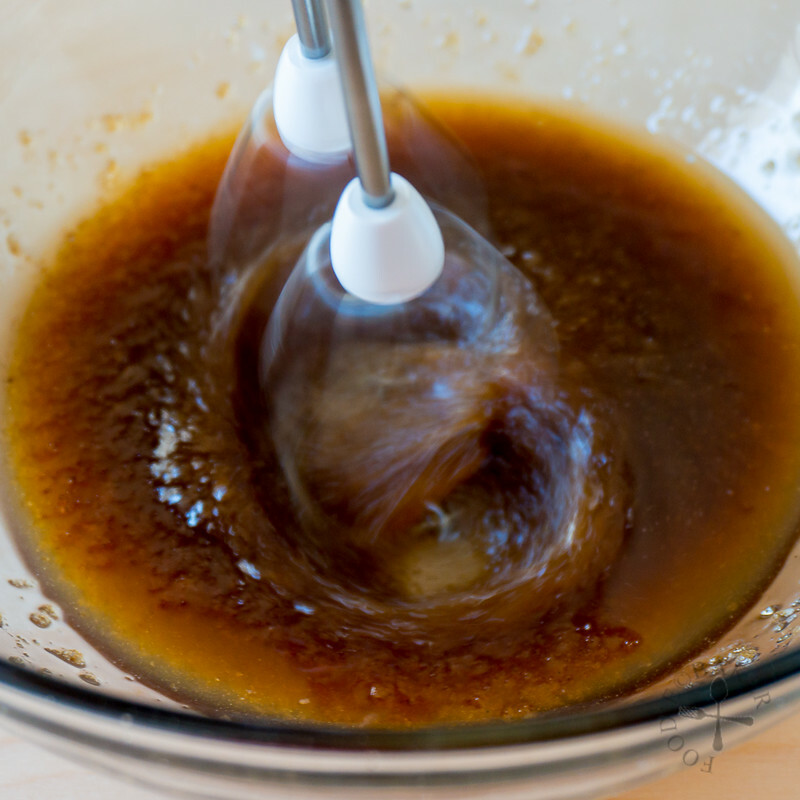 3) Place the sugars and vanilla in a mixing bowl. 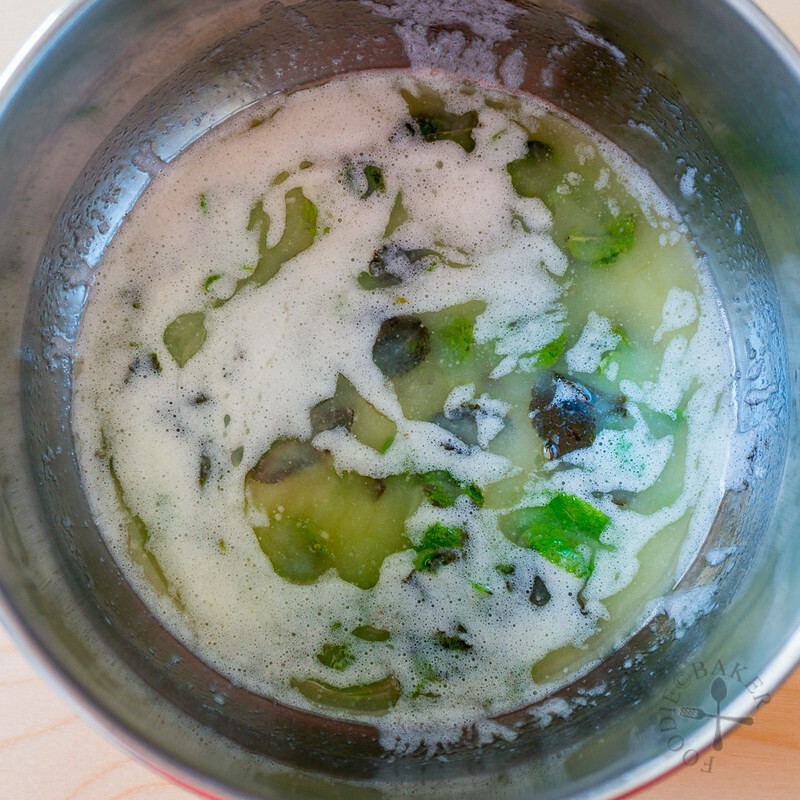 4) Strain the mint-butter into the mixing bowl. 5) Beat with a mixer until blended. 6) Beat in the egg. 7) Beat in the dry ingredients. 8) Stir in the chocolate chips and chunks. 9) Chill in the refrigerator for at least 1 hour. 10) Roll into balls and bake away! 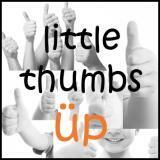 This post is linked to the event, Little Thumbs Up (August 2015: Brown Sugar) organised by Bake for Happy Kids and My Little Favourite DIY, and hosted by Jess from Bakericious! 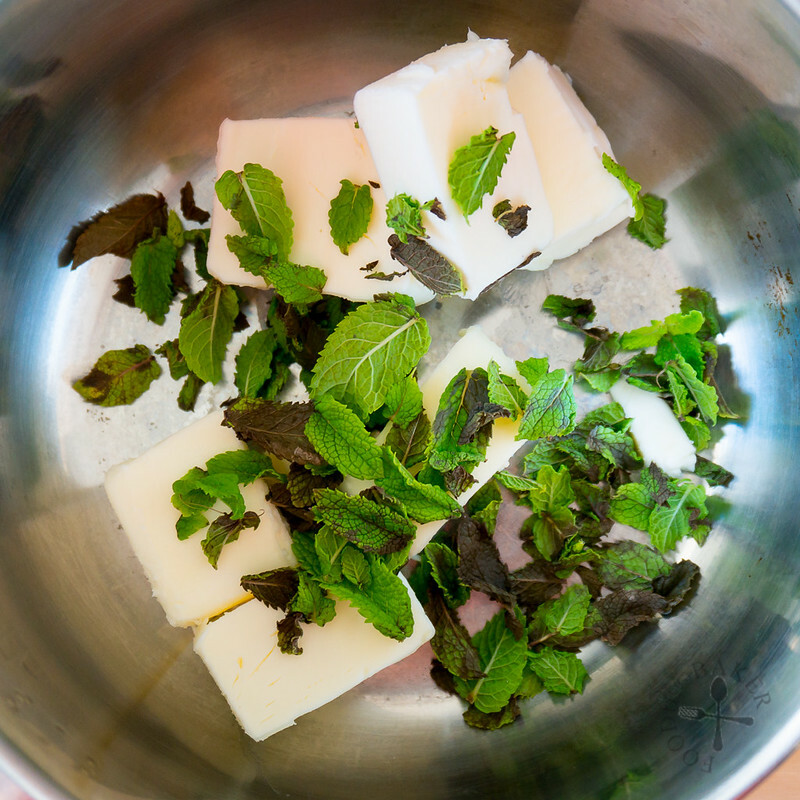 Place butter and mint leaves in a small pot. Melt the butter over low heat. Remove the pot from heat and let the mint leaves steep for 30 minutes. 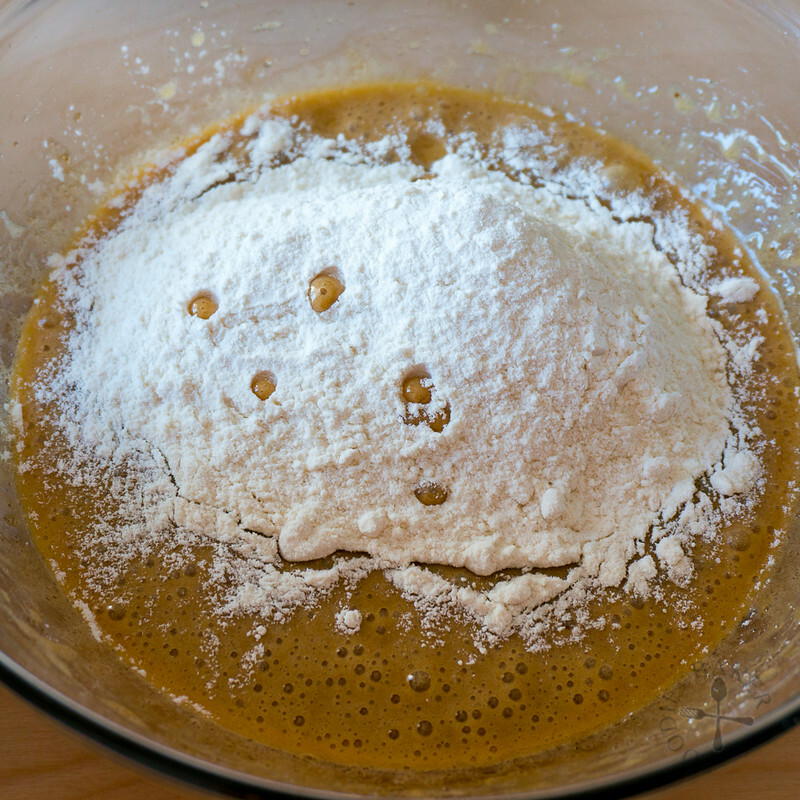 In a small bowl, whisk flour, baking powder and salt together. Set aside. 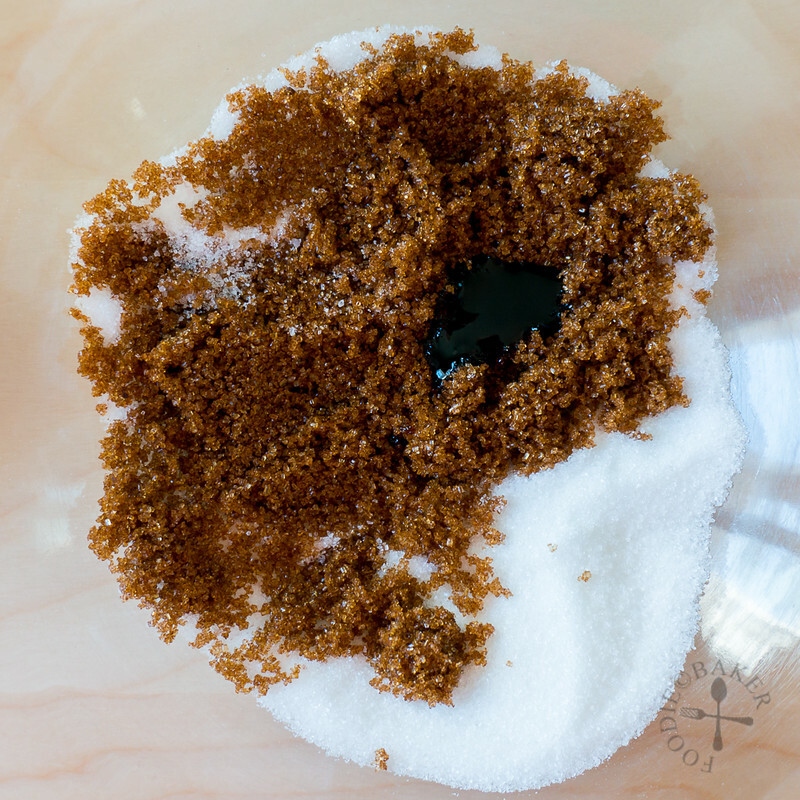 Place brown sugar, caster sugar and vanilla in a mixing bowl. Strain the mint-butter directly into the mixing bowl. 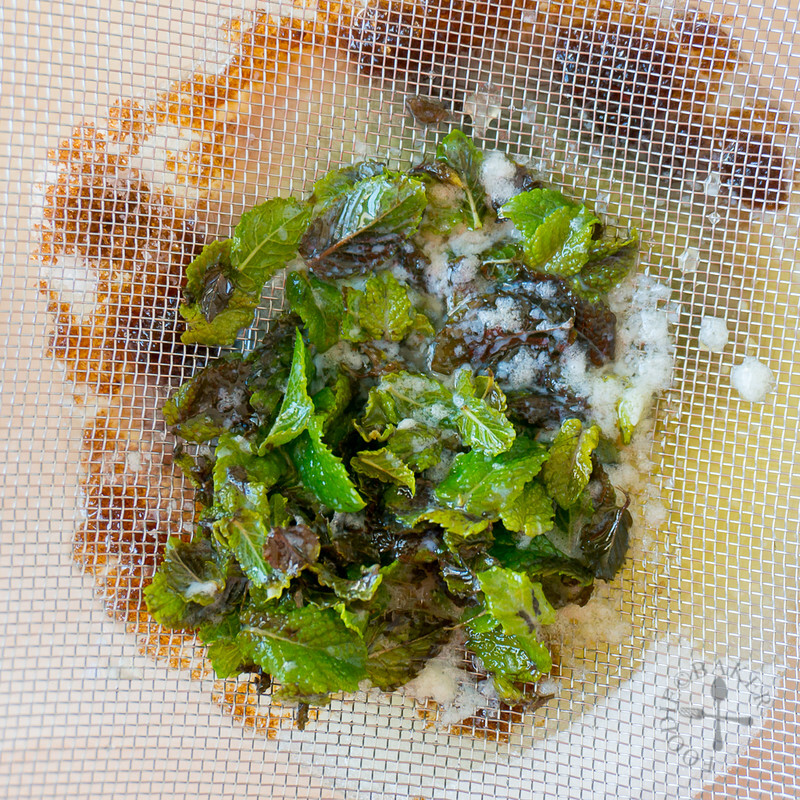 Press down on the mint leaves with a spatula to extract all the butter. 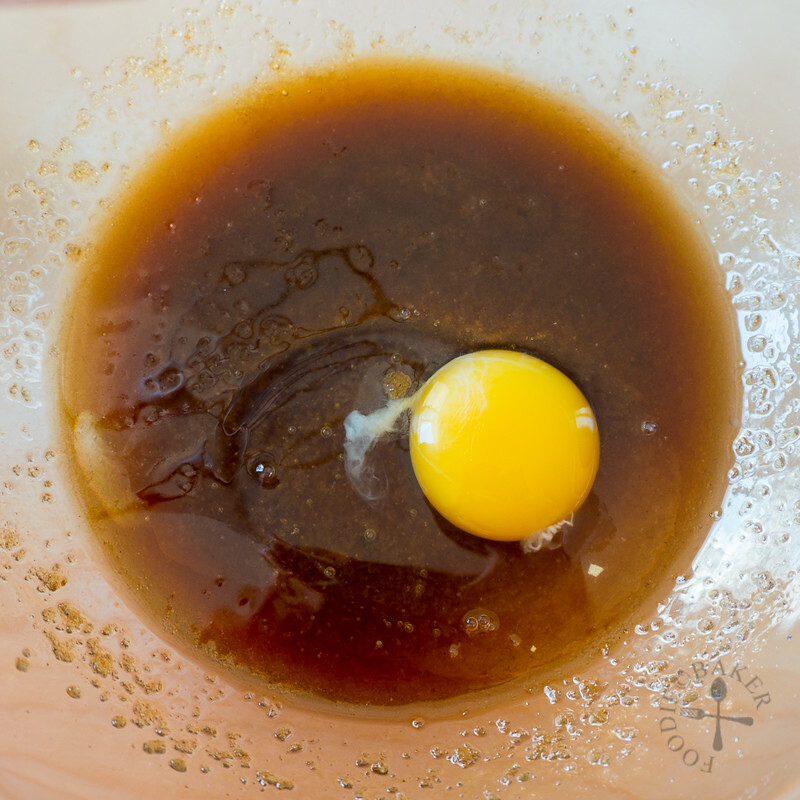 Using an electric mixer, beat the mixture on medium speed for 3 minutes. Add in the egg and beat on medium speed for another minute. Add in the flour mixture and beat on low speed until almost incorporated. 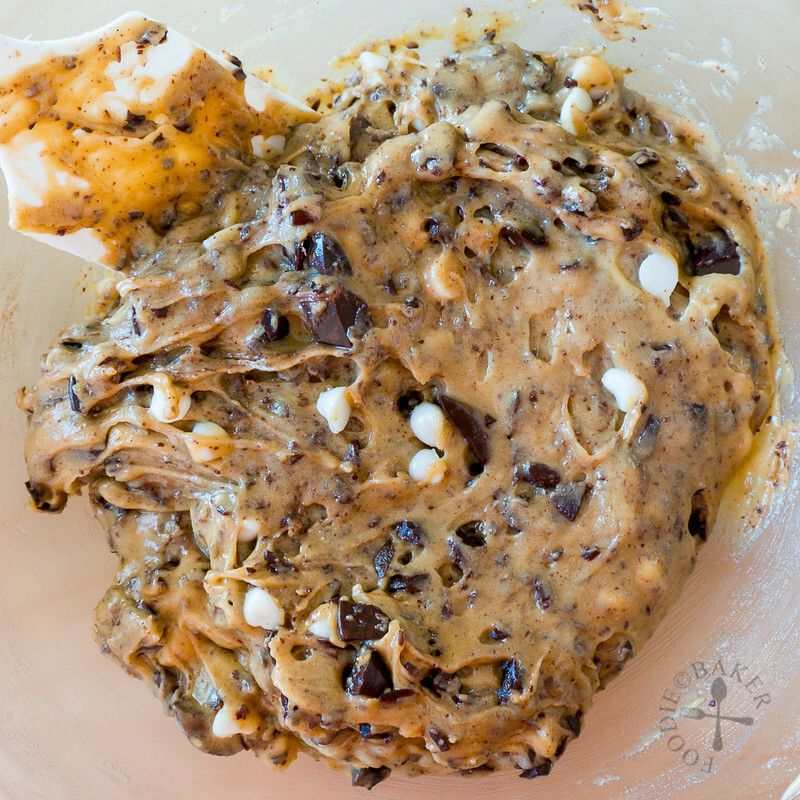 Stir in the chocolate chips and chunks with a spatula. Cover the mixing bowl with plastic wrap and chill the cookie dough for at least 1 hour. Preheat oven to 180C / 355F. Line a baking sheet with baking parchment. Scoop tablespoonfuls of the chilled cookie dough and roll into a ball, about 1-inch in diameter. 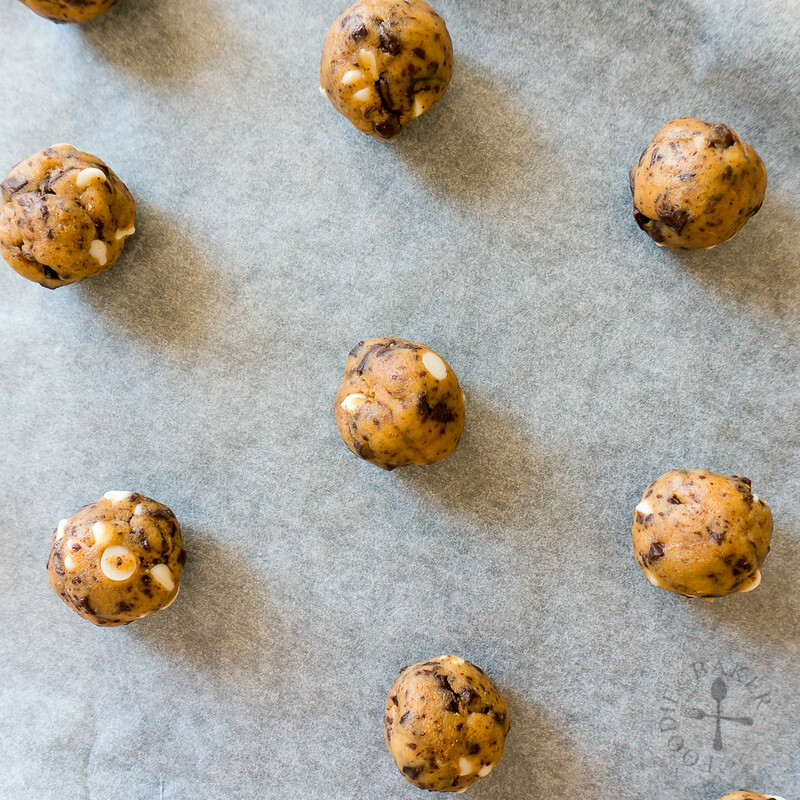 Place the cookie balls on the lined baking sheet, spacing them at least 1.5-inch apart. Bake for 13 to 15 minutes then place the baking sheet on a wire rack. Let the cookies cooled completely on the baking sheet. Cookies look awesome, loving the addition of fresh mint..
Chocolate and mint is a combination that is impossible to resist, so are these cookies. What a great idea to add mint! I love the combination and your cookies look so moist and delicious too. 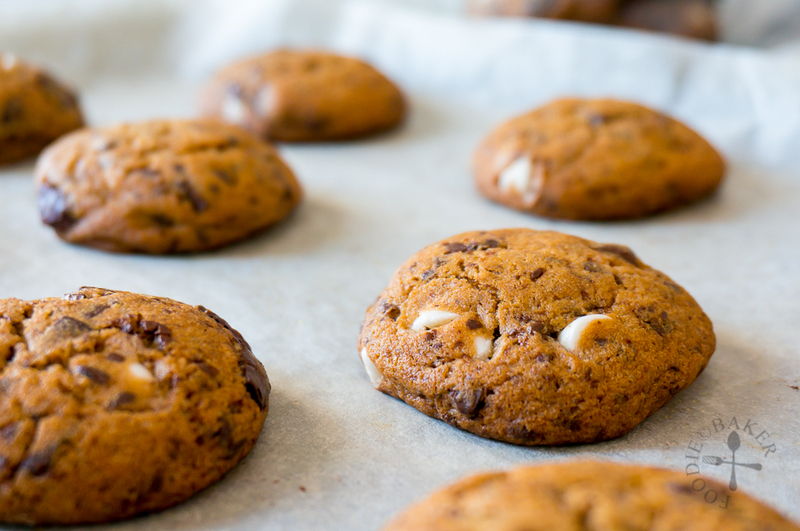 I love mint, but it never occurred to me to add it to cookies, such a great idea! They look fabulous Jasline! Good luck with reviving your plants. That is a bit annoying about the waterer not working! 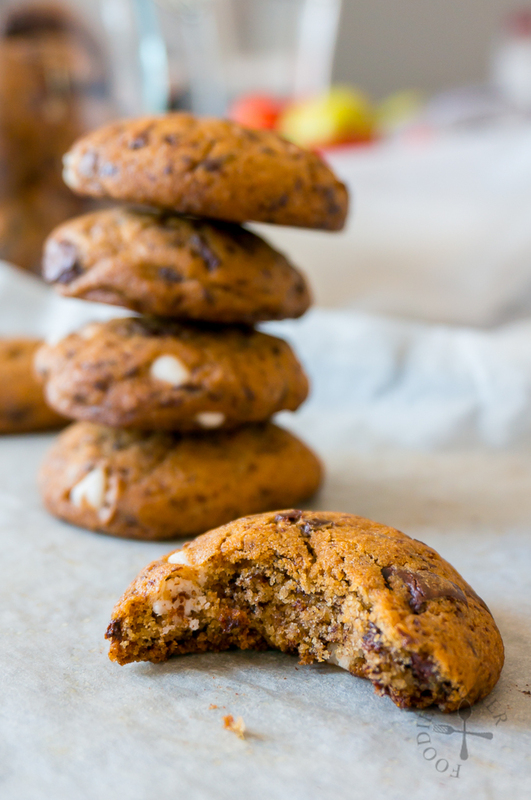 Mmmmm….we love chocolate chip cookies around here! And adding mint was genius! You are too funny, “my mint plant had a heat stroke”… LOL well indeed it did and glad you could put it to great use in a cookie. I have never thought to put fresh mint in baked goods but that is brilliant. Sharing, my friend! I love that you used fresh mint in these cookies, Jasline. They look wonderful! Jasline, I love the way you infused mint into the butter giving it such lovely minty flavours. I’ve never tasted mint chocolate cookies before but now, I’m keen to try for sure. Sorry to hear about your mint plant though! Thank you Grace! I hope somehow it will survive again too! Then I can make these again!